Work is underway on the Gippsland Regional Aquatic Centre. The car park has been expanded at Traralgon Sports Stadium and works now are underway on the facility. 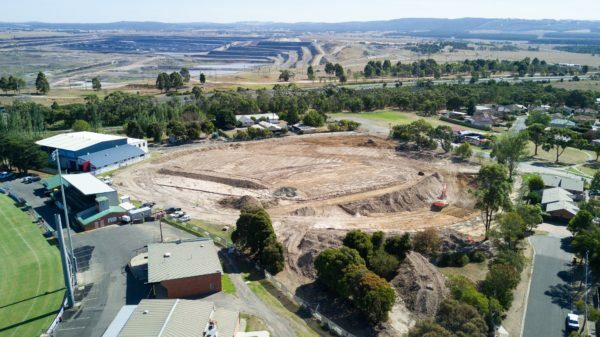 Work is underway on the much-anticipated $57 million Gippsland Regional Aquatic Centre (GRAC) and $19 million Traralgon Sports Stadium (TSS) projects amid a cascade of construction across the Latrobe Valley. 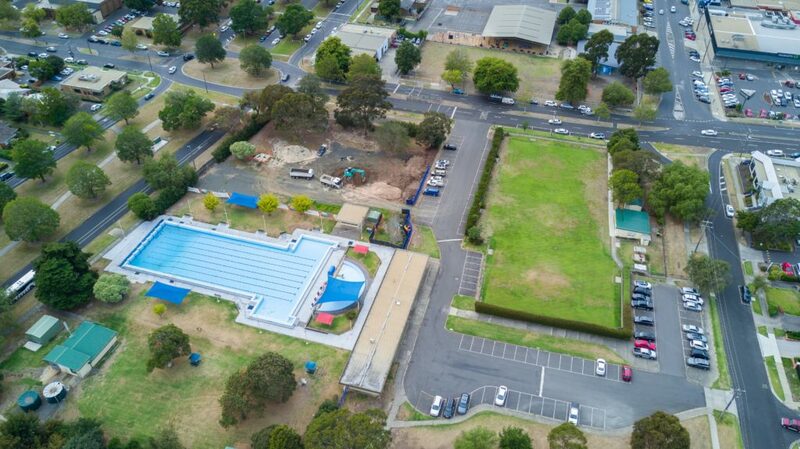 Lead GRAC contractor ADCO Constructions took control of the Breed Street site on 18 March, following the Traralgon outdoor pool’s last hurrah over the Labour Day long weekend, while lead TSS contractor Becon Constructions has been mobilizing on site since 13 March. The decades-long community crusade for a world class aquatic centre is the headline act in a building blitz across the Valley, with works on a cast of major recreation projects either underway or on the cusp of commencing. 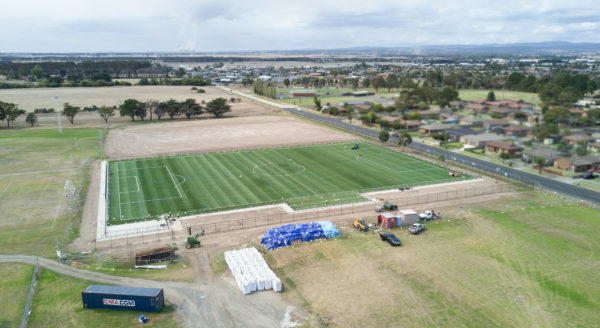 Morwell Recreation Reserve, Latrobe City Sports and Entertainment Stadium, Ted Summerton Reserve, Traralgon Sports Stadium, Sale Tennis Centre, and a host of community managed reserves are among the facilities now receiving a major facelift as part of the State Government’s $85 million Latrobe Valley Sports and Community Initiative. 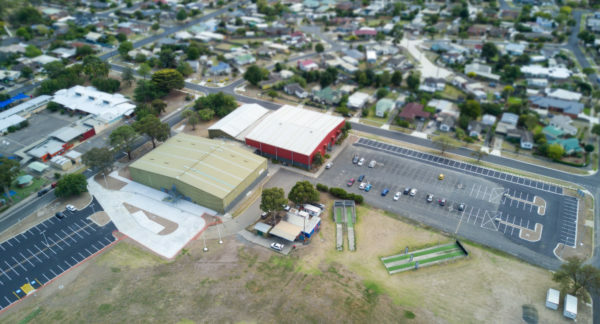 “We are in a major phase of development of our City’s leisure facilities and we know our community will be pleased to see momentum growing behind a series of key projects that will shape liveability and lifestyle in Latrobe for generations to come,” Latrobe City Mayor Graeme Middlemiss said. A significant number of local jobs are expected to be created throughout the construction blitz, as well as some 275 ongoing operational and support roles at the completed facilities. Discussions between lead contractors and local sub-contractors are well underway and the Industry Capability Network and GROW Gippsland have been engaged to ensure maximum opportunity for local work on these projects. “The Latrobe Valley Authority is working closely with Latrobe City Council to ensure maximum opportunity for local workers to be involved in these major construction projects and we are committed to ensuring the best outcomes for the community as a result of these fantastic new facilities,” Latrobe Valley Authority CEO Karen Cain said. Up to 120 workers are anticipated to be on site at the peak of the GRAC building cycle, with completion expected in December 2020. Both GRAC and TSS will use 90 per cent local content as designated Victorian Industry Participation Policy initiatives. 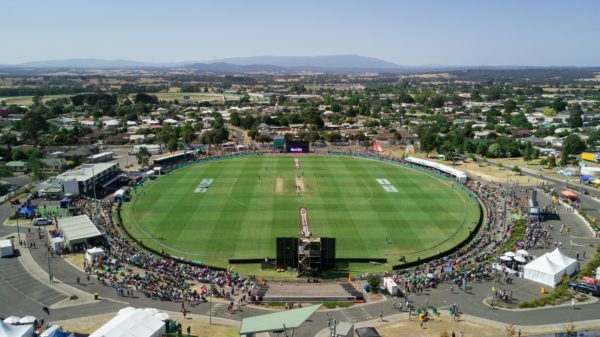 The State Government allocated $46 million for GRAC and $17 million for TSS, with the balance being funded by Latrobe City Council through Sport and Recreation Victoria’s Community Sports Infrastructure Loan Scheme. 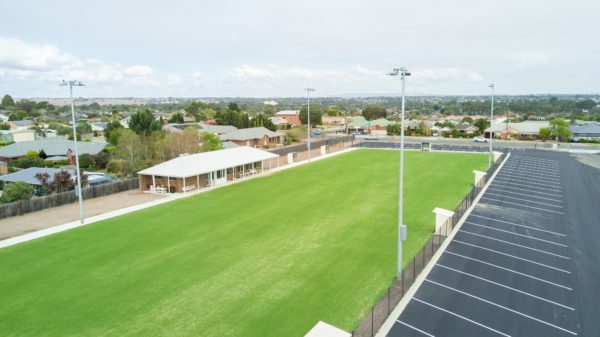 Construction on the redevelopment is continuing, with local contractors RAL Constructions appointed for the pavilion works – using local subcontractors – and Drouin based Meluca Group carrying out the court works. 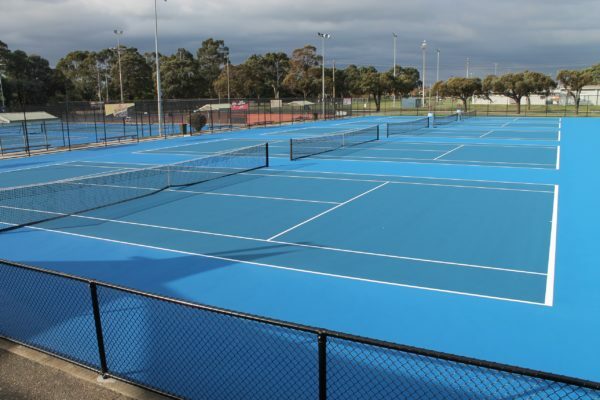 The project involves reconstruction of 12 tennis courts, including four new red porous surfaces, meeting official requirements for ITF-level tournaments, and eight courts upgraded to improve club-level competitions.